In Riviera Nayarit luxury means adventure, and 500 swimmers from all categories are expected to participate in the third edition of the Aguas Abiertas Riviera Nayarit, which will take place next April 27 at Marina Riviera Nayarit in La Cruz de Huanacaxtle. Newts from all categories will join this competition, which will test their resistance. Children 7 to 20 will make a 500 m lap; ages 11 and 12 will swim 1.250 km. 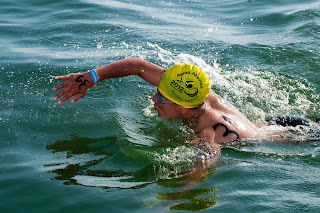 ; ages 13 and 14 will swim 2.5 km, and amateurs 15 and older will be required to complete 3.75 km in under 2 hours. The main competition will be a 5k race for professionals with a time limit of 1 hour, 20 min. In 2011, two competitors from Guadalajara won this race: Manuel Chiu, with a time of 1:04:28, and Andrea Gutiérrez, who finished in 1:12:13. In 2012, Alan Rojas Sagrero, timing 1:01:33, and Lizeth Rueda Santos, at 01:03:26, were the champions. The Convention and Visitors Bureau (CVB) of Riviera Nayarit congratulates Nadoseguro for contributing to promote his tourist destination through sport events that get the attention of competitors, their families, and of the media. Riviera Nayarit is a privileged destination not only because of its beaches, which extend over 180 miles, but also because of its natural environment, which makes it one of the preferred destinations for sport fishing enthusiasts. Its world-class infrastructure, and its readily available services allow visitors to enjoy magical experiences and fun family vacations. The Convention and Visitors Bureau of Riviera Nayarit has defined the events and conventions segment as a priority within the framework of promotion for our destination, as it realizes that these contribute directly to selling hotel nights and in accomplishing the objectives defined by the State Government headed by Roberto Sandoval, in order to attract tourism to benefit the people of Nayarit.